High Security Wall, Roofing and Floor Systems. This market leading high security wall, roofing and floor system has been exhaustively tested by the Loss prevention Certification Board, achieving the highly rated LPS1175 Security Rating 4 and is also approved for use by HM Government. This range of high security wall, roofing & floor panels are available with a choice of core types to satisfy fire rating and insulation requirements, the product is pre-finished (with a range of colours available) therefore negating the need for any ‘wet trade’ requirements, providing internal or external finishes. Cast in services such as conduits can be formed in the panel at the factory. A range of compatible door and ancillary products are also available to complement the system and the panels may be used for both internal and external applications. Whether offering a ‘stand-alone’ modular construction, upgrading an existing building or acting as a secure partition; Securiclad provides the answer in a variety of business sectors. This high security wall, roof and floor systems can be used anywhere there is a security need, such as high value goods or sensitive information; as shown below. Safe areas on mines to withstand sustained attack. 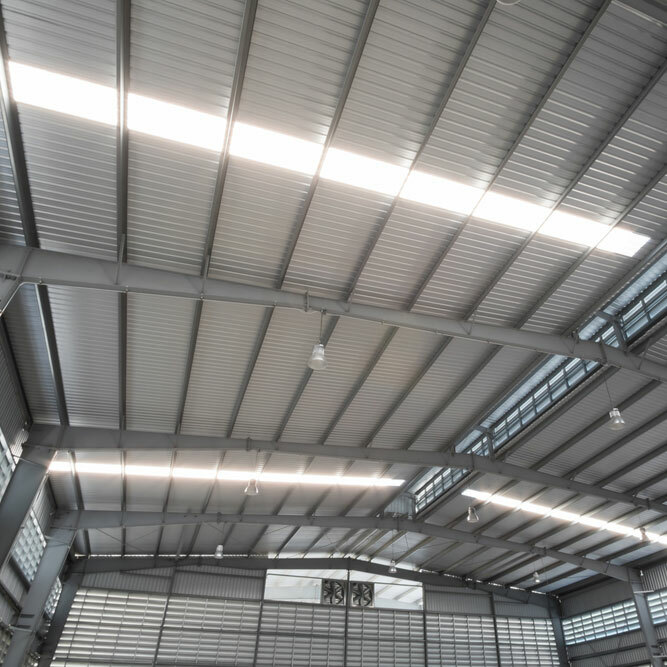 This market leading high security wall, roof and floor system panel system offers a method of construction that is significantly faster and simpler to install than conventional methods. NB. Due to the sensitive nature of Securiclad, product literature is not available for general release and can only be obtained in AFRICA by contacting the Metal Roofing & Cladding Sales Team.